I just had to say that, Seattle was really all that for me during my recent trip there. Fun, fun, fun are three words that come to mind. I just went on a mini vacation there for 3 days. I rode the train, it’s a quick 3.5 hour trip from Portland to Seattle. 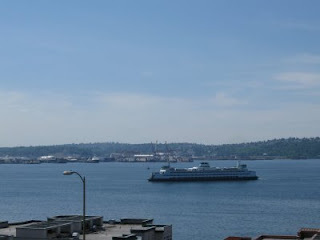 The train depot in Seattle is close to the heart of downtown, so very convenient if you’re staying in the downtown area. 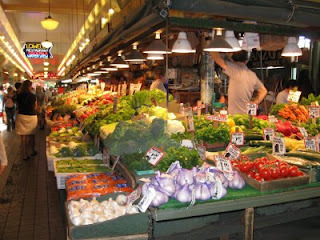 All of the pictures here were taken at Pike Place market, which is a world class farmers & artisans market. This fabulous market boasts a myriad of delights, including, the freshest seafood you can buy, bakeries, coffee shops galore, rows and rows of fresh produce, herbs and flowers, along with artisan crafts from A-Z! 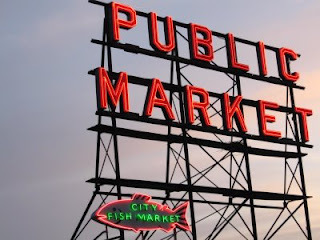 If you are in Seattle, this place is really a must see, and please allow yourself at least 4 hours to really explore, as this market is huge! 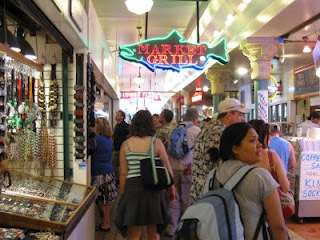 I have had an ongoing fantasy about renting a place near this market just for the summer, so that I might immerse myself in the colorful, eclectic world that is Pike place market! So, did you see them slinging those salmon!!!!!!!! 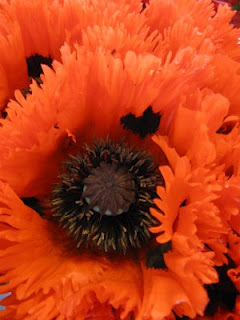 the flowers are GORGEOUS!!!! i can almost smell them! Not only are those flowers gorgeous but HUGE! They must weigh 20 pounds. 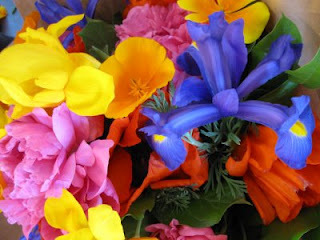 LOL I was the very lucky recipient of 2 bouquets last summer when we did the market and they were wonderful. Sounds like you had a great time there!